Waiouru: Elvis is not dead! This morning we made the short cruise to the CRT facilities block at Nantwich to top up the water and dispose of the rubbish. Waiouru was tied to the bollards when Jan observed the bow of a boat coming through the nearby bridge hole at speed. She called out a warning to me up at the bow where I was checking on the hose. Then we heard loud shouting as a boater on the far bank berated the steerer for not slowing down and causing his boat to list badly (tip to one side) spilling items out of his draws and cupboards. The steerer just ignored him and kept going at the same speed. The boater followed on the bank repeatedly expressing his indignation, demanding the steerer acknowledge his concerns and slow down. As the steerer passed me he said “I’ve come off the Llangollen and the people are friendlier there!” before continuing on passing all the moored boats at the same high speed. The aggrieved boater on the far bank then suggested to me that as we were facing in the same direction as the departed boater we should pass him at high speed later in the day. There are enough “wally’s” on the canals without me becoming one! Two wrongs don’t make a right! It took quite a while to fill the tank as the water pressure at Nantwich isn’t very good. 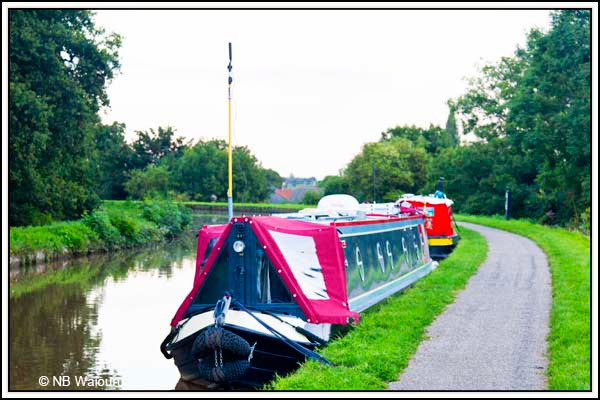 The CRT enforcement officer had already told us there were vacancies on the 48 hour moorings and if the section near the canal centre were full, then there were plenty more further around. He was wrong! We managed to grab the last vacant mooring on the southern side because a boater just happened to leave as we came around the bend. It’s a good mooring with both satellite and terrestrial TV coverage so Jan will be able to record tonight’s episode of ‘New Tricks’. 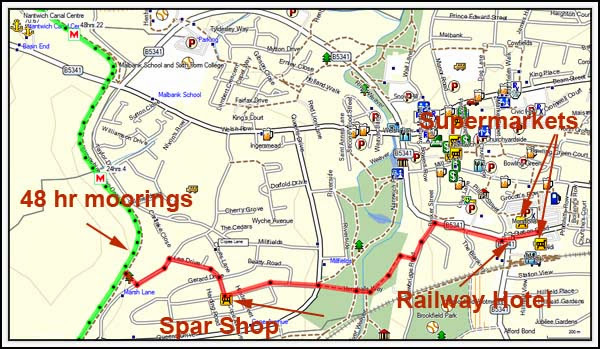 The cupboards were starting to look slightly bare so we walked to the supermarkets using a new and shorter route. Along the way we passed a Spar shop which is reasonably close to the the mooring. I’ll probably walk back to it tomorrow morning and buy Jan’s magazines. 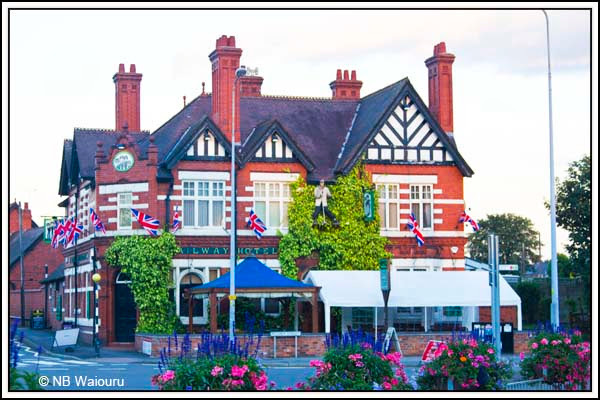 We have been past the Station Hotel in Nantwich on several occasions and I’ve even photographed it for a blog post. 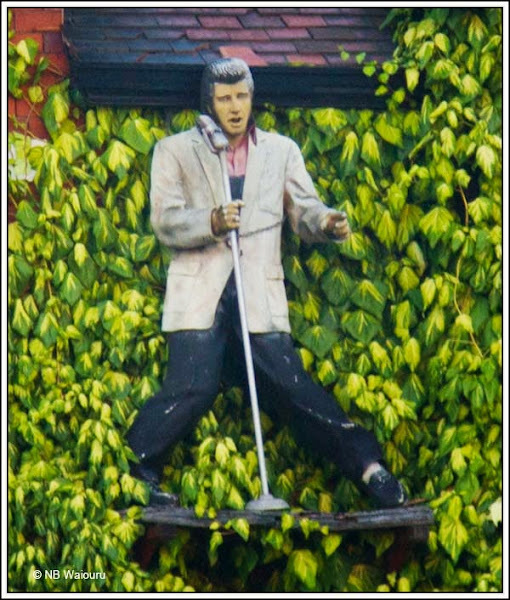 But today we were surprised when we noticed Elvis was outside. So he’s not dead, because we both saw him in Nantwich. Unfortunately we didn’t have a camera but I walked back this evening and he was still outside. I suppose it’s a bit of a let down after playing to audiences in Vegas!